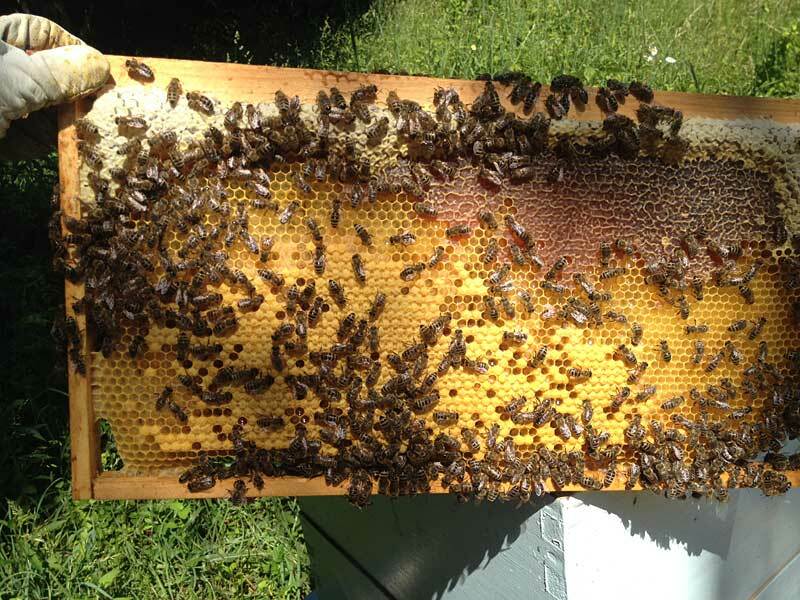 Beehive 1 of 2, started from a nuc of locally raised bees in Spring of 2014. Video was shot in early June 2014 (through the smaller, rear entrance). Various images of frames in my new hives, both 1 and 2. Beautiful!